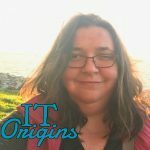 Theresa Miller, MBA, is a Senior Systems Engineer and Founder of 24×7 IT Connection. You can follow her on LinkedIn and Twitter. I started out as an accounting major, and quickly learned this wasn’t the path for me. I knew some people in the IT business program at my college, and when I tried it out everything I was learning made sense to me. Here I am over 20 years later still having fun. The biggest change is the push for IT and business to be integrated in their toolset decision making. The days of the “IT way or the highway” are gone. For the better! Internet of Things (IOT). Actually, I think IOT is good, but the consumer is more prepared to use it than the companies that deliver the technologies are ready to secure it. As long as an internet connected device in your home can be easily hacked, then there is a lot more work to be done. Cloud for the win, it’s great to move past the time-consuming processes tied to architecture and updates to management of systems. I deal primarily with virtualization of destkops/servers/applications, and collaboration tools such as Microsoft Exchange, SharePoint, Skype for Business, and some Azure/AWS. The field will still be here and everything is continuing to drive toward the cloud. Book recommendations for IT practitioners? I don’t read technology books anymore. The answer is wherever it is. That may be the internet, industry peers, and sometimes even support. I like books that help me learn and grow, and once in a while a good fiction story is great. Nothing exciting from me. I built my own from parts I ordered online or picked up from the local computer store. The whitebox computer as we called it at the time. Spending time with family. ATVing, walks, movies. When I am not with the family I like to read. Any career advise you’d like to pass on to our readers? To make a career in IT be successful be willing to learn and be willing to share what you learn.